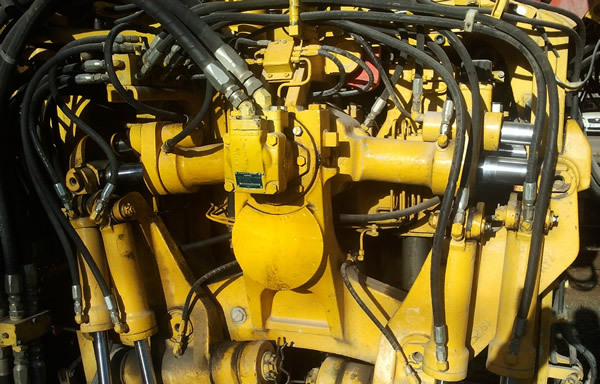 J-FLEX® Hydraulic Hose - Hydraulic Hose - SAE Standards - Specialty Hoses - JGB Enterprises, Inc.
From hydraulic fracturing to farm equipment to industrial plants and more, JGB offers J-FLEX® SAE hydraulic hoses for all your applications. JGB Enterprises, Inc. carries J-FLEX® hydraulic hose in the sizes, lengths & vacuum ratings for any low to high-pressure apparatus. J-FLEX® hydraulic hose ID sizes range from between 1/4 through 3 inches. 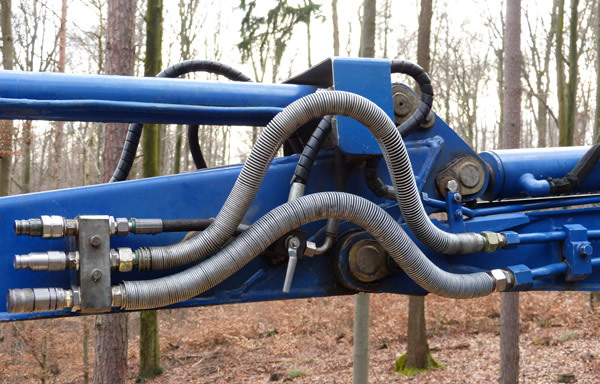 Most of our J-FLEX® Hydraulic hoses come with a choice of covers depending on usage conditions. 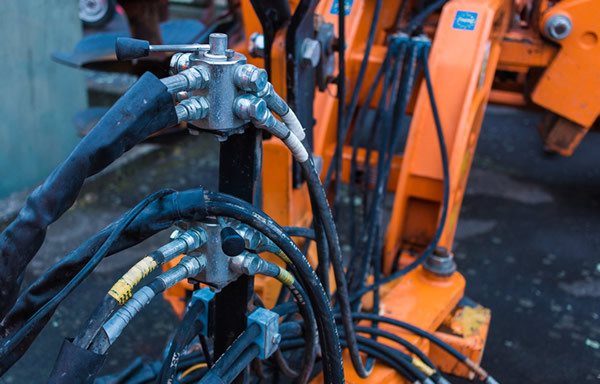 Along with our bulk hose, JGB custom assembles hydraulic hose in many variations. We also carry hydraulic fittings, adapters, and couplers to work with any type of hydraulic systems with any pressure rating requirements. JGB can provide low pressure hose to ultra-high pressure hydraulic hose for arduous operating conditions needing extremely high flexibility. JGB also has full crimp capabilities and supplies a full line of 1 piece SAE fittings. J-FLEX® 2M 2SN/SAE 100R2AT hose is for medium to high pressure hydraulic systems in industry and agriculture. The synthetic rubber tube is resistant to hydraulic fluids, and the synthetic rubber cover is abrasion and ozone resistant. Various covers are available for this hose. J-FLEX® 4 SAE 100R4 Hose is for use in low pressure hydraulic systems to return the oil to tank for reuse. It is resistant to aromatic content less than 40%. Working pressures range from 56 to 300 PSI depending on ID size. It comes in lengths up to 200 feet. J-FLEX® 12M SAE 100R12 Hose is reinforced with four high tensile steel spirals, this hose is designed for hydraulic systems with high peak pressures & arduous operating conditions. The special synthetic cover is designed to resist hydraulic oil, weather, & abrasion. The synthetic rubber tube is resistant to mineral, vegetable, & glycol based hydraulic oils. A MSHA cover is available. 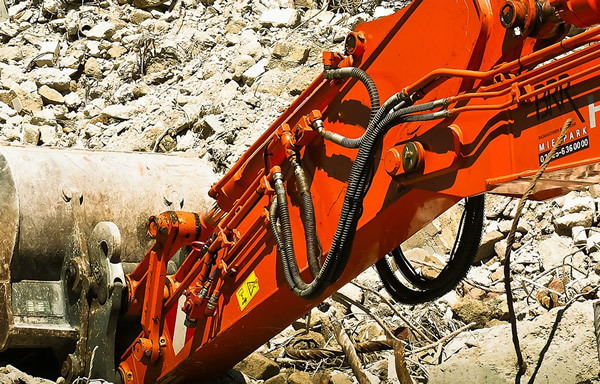 J-FLEX® 15M SAE 100R15 hose is compatible with biodegradable hydraulic fluids like vegetable oil as well as mineral and glycol based hydraulic fluids. It consists of an inner tube of oil-resistant special synthetic rubber, 4 or 6 spiral plies of heavy wire wrapped in alternating directions, and an oil, abrasion, and weather-resistant special rubber cover.